? NEW 2 IN 1 DESIGN ? DOUBLES AS A TRUNK ORGANIZER OR BACKSEAT ORGANIZER ? REGULAR TRUNK ORGANIZERS GET IN THE WAY BUT THIS ONE SUSPENDS ABOVE YOUR TRUNK!? This smart car storage solution functions as a Trunk Cargo Organizer or a Back Seat Organizer! Meaning you can stop those loose items banging around in the back or keep the children happy by storing all their toys and coloring books right in front of them. Perfect vehicle accessories for any success family road trip.
? SUPERIOR QUALITY - MILITARY GRADE MATERIAL ? SIMPLY BUILT TO OUTPERFORM ANY RIVAL. PERIOD! ? 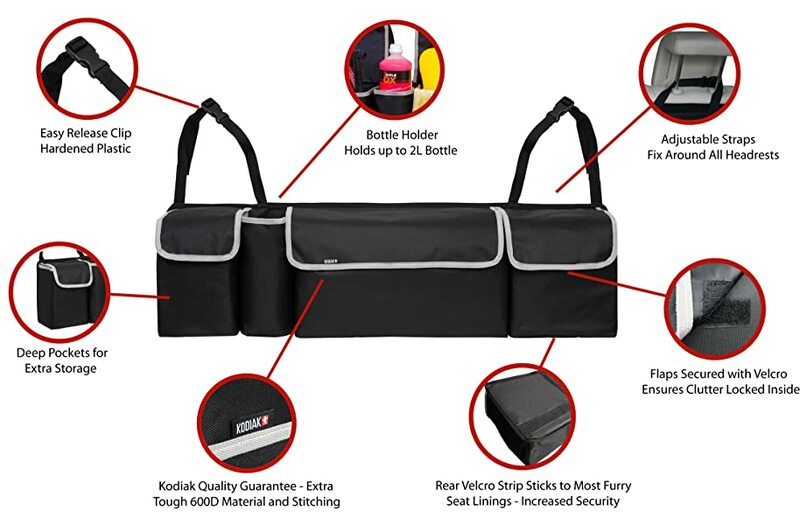 Our car trunk organizer is constructed from the same 600D polyester material used in many military backpacks and webbings ? The solid backboard maintains rigidity whilst the unyielding nylon stitching make this car organizer the most robust available ? 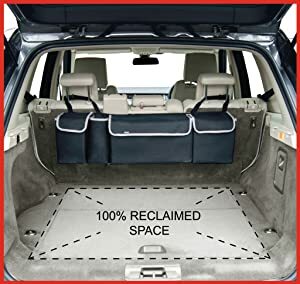 Why suffer other net based car organizers that easily rip and sag when under load when these car/ suv accessories are built to last.
? SUPER EASY TO INSTALL ? FOLDS AWAY WHEN NOT IN USE - SAVING YOU SPACE IN UNDER 60 SECONDS! ? Simply attach the adjustable straps around your front or rear headrests using the toughened clips - Press down the rear Velcro strip against the seat lining and hey presto ? You?re now ready to use your new vehicle storage for toys, cleaning goods, tools, car spares, baby essentials, sports gear, fishing trips or a golf trunk organizer. 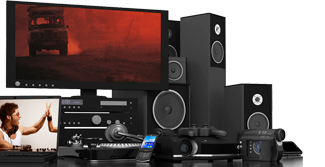 Perfect gift ideas for men and gadgets for men too.
? FITS IN ANY VEHICLE USING FULLY ADJUSTABLE STRAPS ? REAR VELCRO STICKS SECURLEY TO SEAT LINING ? IT WON?T BUDGE! ? This car trunk storage solution has straps long enough to fit any vehicle headrest ? So if you need a car, suv, crossover, minivan or trunk organizer then we got you covered? rear Velcro sticks with any compatible seat lining - And by simply folding the three smaller pockets behind the large centre pocket using the built in hinges you can shrink the length by a half. The 60 second change that will organize your vehicle and give you 100% of your trunk back. Running out of space in your trunk? Make your backseats work harder! The backseat car trunk organizer that will utilize the potential storage available in your Car, Van, SUV or Pickup Truck. Do you take part in sports, outdoor activities, DIY projects or you are a busy parent making journeys with the kids? And find yourself with various items in your trunk day in day out that need storing and organizing? Do you want to hide away clutter or even valuable items usually left on the front or back seat and trunk? The perfect car storage solutionyou need is here! 2 in 1 functionality -Can easily be used as a backseat car organizer or a car trunk organizer! 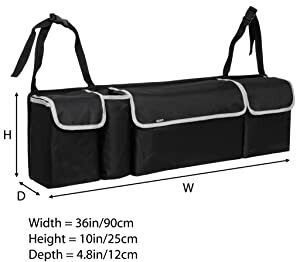 Multipurpose -Car storagefor kids toys, vehicle spares, snacks, pet toys, baby supplies, cycling gear, soccer equipment and even a golf trunk organizer. Proven companion for any successful camping or fishing trip. Keep the tent pegs, fishing tackle and marshmallows safely suspended above your trunk. Fully adjustable headrest straps - suitable for all vehicles. Velcro security strip ? Firmly secures trunk organizer in position. Solid backboard ? Maintains rigidity even when under load. 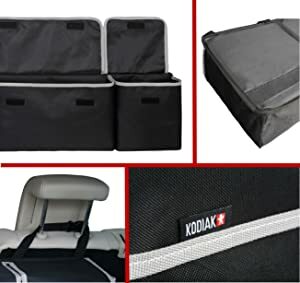 The Kodiak Backseat Trunk Organizer will store and tidy your daily utilized items creating extra convenient storage space in your vehicle. 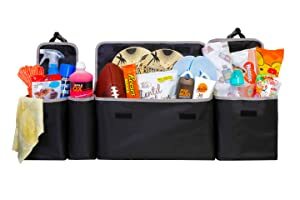 All of your travel supplies and necessities such as baby/children care products, tools, groceries, sport equipment, camping gear, vehicle cleaning products, daily commute items, the list just goes on. Whatever the items are that you need to store or conceal during journeys can be done at ease without wasting trunk space that is required to transport those larger items we all have in life. Material: High grade 600D polyester material. The 4 pockets sizes give you the option to store specific items in your chosen place making it easier to separate the big items from the small. Deep and robust pockets provide storage for various items without the concern of any items falling out during bumpy transportation. Additional lining and stitching gives increased strength to the pockets, while the Velcro on the pocket lids helps keep items contained and secure. The Velcrostrip atthe back of the backseat trunk organizerto most car seat and trunk lining material. Water resistant premium high quality 600D polyester material gives protection against spills and makes the organizer easy to wipe clean. The backseat trunk organizer is installed in less than 60 seconds using the sturdy straps and clipping features. This unique vehicle storage with it's sleek design will look great in any vehicle! Whilst the premium quality of the water-resistant 600D polyester material will not let you down, even with those heavier items. Strong stitching throughout provides reliability at maximum load, combined with high grade polyester blend gives strength, durability and water resistance. 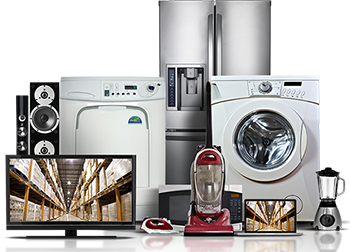 Due to the enclosed design you will be confident that all items including personal and more valuable belongings will be out of sight, protected and secure. Q:How do these car organizers work? Answer:Simply clip the adjustable straps around both headrests, push on the Velcro and voila! Q:What if my seats won't stick to Velcro, will these auto accessorieswork? Answer:No problem. The headrest straps alone are more than capable of supporting the weight of a fully laden organizer. Q:Are these SUV accessories foldable? Answer:Yes. The three smaller pockets fold behind the large one so it is easier to transport when not in use. 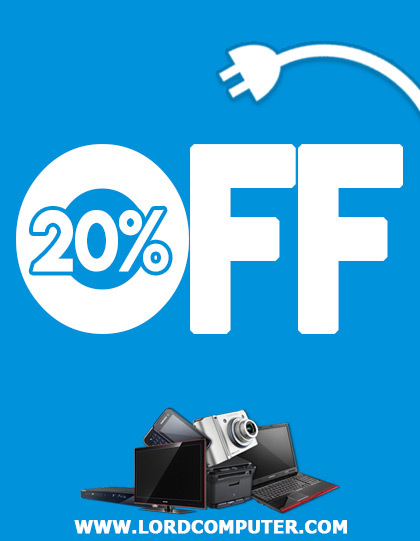 Looking for vehicle accessories? This is a great gadget for men and woman. If you have limited gift ideas for men or women - this is the perfect mens gift idea or womans gift idea! If you know somebody that requires a little more organization in their lives then this is the solution. It will not only keep their vehicles tidy but will also help to take a weight off the mind.